 Cambridgeshire Police and Crime Commissioner Sir Graham Bright met local shoppers during an informal ‘meet and greet’ event to find out their views on policing. 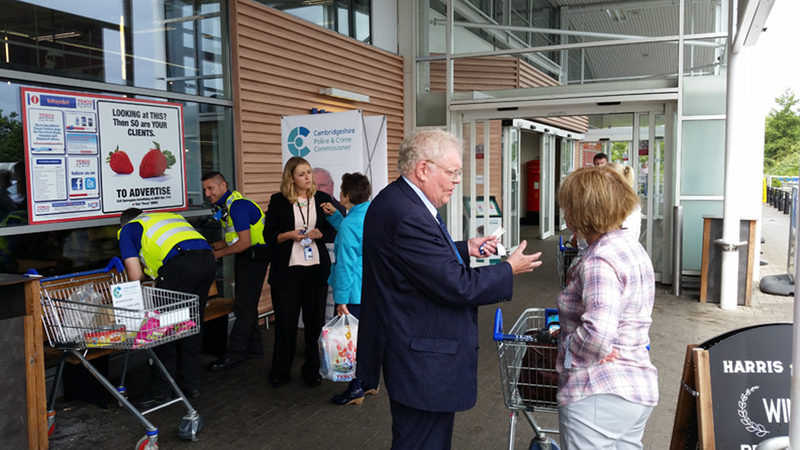 The ‘street surgery’, which was supported by local councillors, was held outside the Tesco store in Bar Hill and saw dozens of people take advantage of the opportunity to air their views on community safety and local crime. Accompanied by local officers from Cambridgeshire Constabulary, Sir Graham was able to answer questions about the work taking place to make the county safer. He was also on hand to listen to the priority crime areas raised by the public. 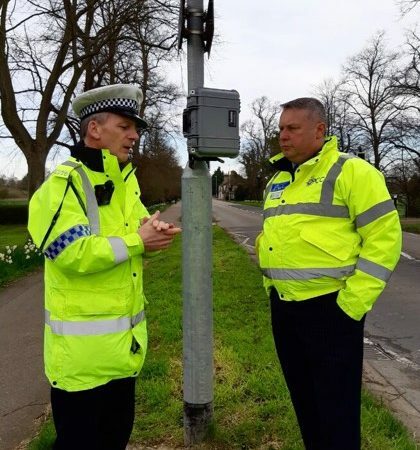 Commenting on the event, which was held on Monday (July 13), Sir Graham said: “I very much enjoy getting out and about and talking to the public about their views on local policing – both good and bad. I was delighted so many people decided to take the opportunity of putting forward their views and finding out a little more about what local officers are doing to make their communities more peaceful. 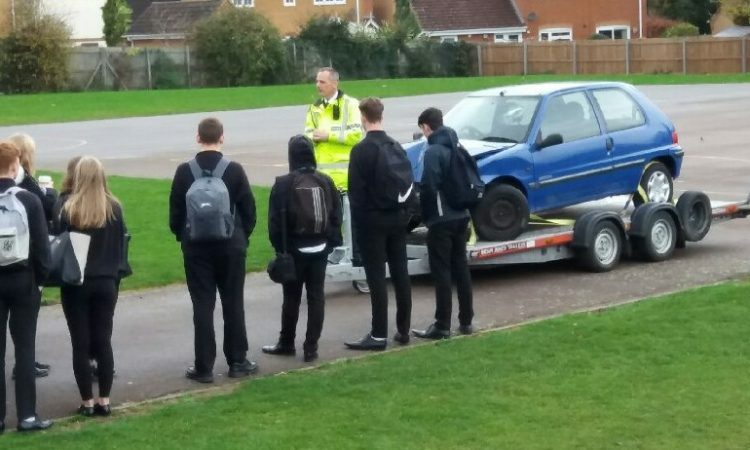 “Specific issues raised on the day included concerns about cyber-crime, fly tipping, graffiti and traffic issues. These issues will be fed back to the teams responsible for policing the area to ensure local policing continues to reflect the priorities of those it serves. The ‘Street Surgery’ is one of a series of similar events held in different towns and cities across Cambridgeshire as part of Sir Graham’s commitment to keep in touch with public opinion.